Zamárdi Taxi... a phone call away! Taxi Zamárdi and Minibus Zamárdi - Airport transfers on fixed prices from Budapest Airport to Zamárdi, Lake Balaton. 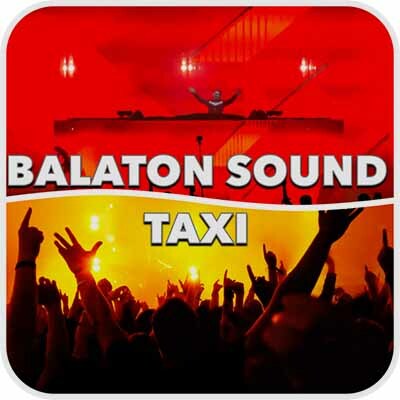 Balaton Sound Festival taxi. 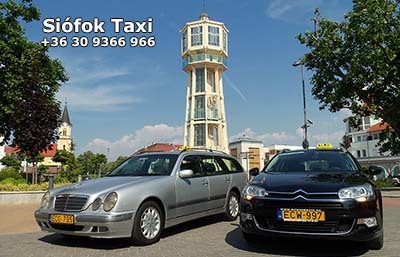 Zamárdi Taxi Service (our home town is Siófok) is the market leader of taxi, minivan taxi and airport transfer category in Zamárdi and Siófok at the Lake Balaton. We have the references of the best hotels, restaurants, travel agencies, firms in Siófok, Zamárdi, Szántód, Balatonendréd, Kőröshegy, Balatonföldvár. We offer You a car fleet of taxi, minivan-taxi and bus for festivals, conferences or congresses. Our services are available all the year. 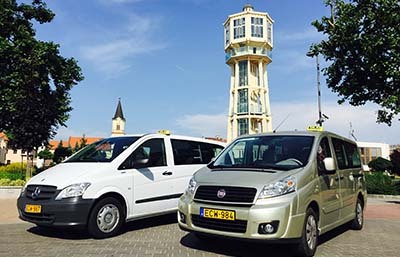 Taxi ordering is possible in 24 hours a day in Zamárdi and its peripheral townships at the Lake Balaton in Hungary. Beyond the basic taxi cab services as transport and airport transfer we offer the following services: driver service, dispatch service, wrecker service, flower delivery. *During the Balaton Sound Festival and the Redbull Air Race we operate on different prices. Taxi up to 3 pax. Minivan up to 6 pax. Minibus up to 7 pax. * You can use the taxi from Budapest Liszt Ferenc Airport to Zamárdi, or from Zamárdi to Budapest on fixed transfer prices. 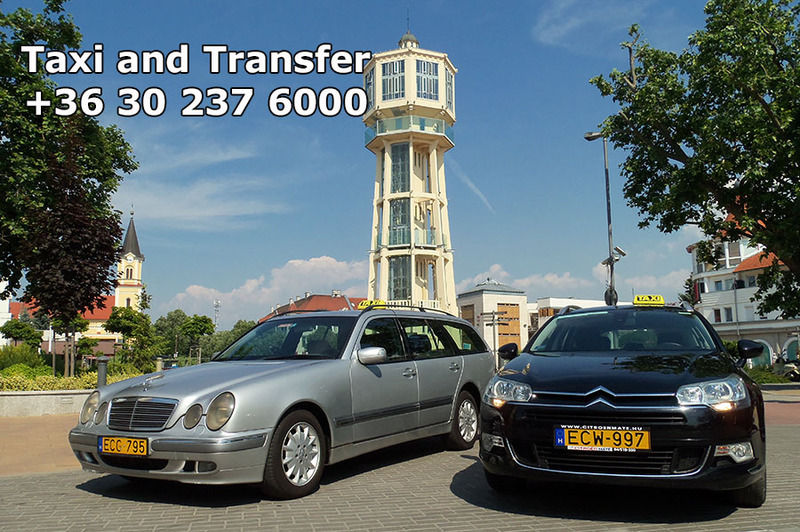 We offer for airport pick up and transfer Mercedes E class, station wagon or limousine, Opel Zafira, Fiat Scudo with a large luggage-rack and airconditioning. Distance: 150 km, duration: 1,5 hours. The Zamárdi Minibus Service is available between Zamárdi or Lake Balaton and Budapest Liszt Ferenc Airport, Vienna International Airport, Bratislava, Graz Airport, Zagrab Airport vice versa on fixed rates. Our minivan or minibus fleet: Mercedes Vito, Mercedes Viano, Fiat Scudo, VW Caravelle. Child seat is free of charge. In case of pree booking option for payment with creditcard (VISA, MASTER, MAESTRO). 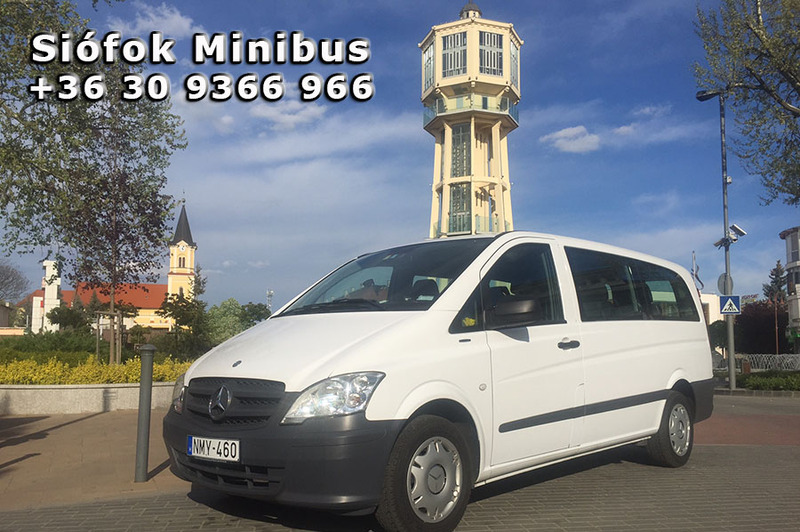 Airport Minibus Shuttle Service between Budapest city, Budapest Airport and the Lake Balaton Zamárdi. For groups more than 6 persons we offer the 9 seater (8+1) minibus. For many luggages a truck-trailer is available for extra fee. Passenger transport wit English speaking driver. Pree booking for airport pick up and airport transfer REQUIRED! - The transport is available for fix transfer prices from or to airports. - If your departure or arrival address is not among the listed, please contact us for an offer (e-mail, phone call or filling in the booking form)! - For payment we prefer CASH, you can pay: in HUF, EUR, GBP, USD. - You can pay for the driver. The taxi prices standardized for Balaton Soud festival by an official contract, and we have been using a zone-tariff system for the past few years. You can find the zone-fee table in each of our licensed cars. Zamárdi minivan taxi - for 7, 8, 9 passengers. With even big space and luggage-rack, it is really comfortable for long trips, airport transfers, hotel transfers, international journeys with many suitcases. Fully air-conditioned premium category, especially for smaller groups. Zamárdi party taxi van. Zamárdi Minibus – Mercedes minivan for 9 passengers, fully air-conditioned, premium category. Best option for companies, sports events, conferences. We recommend this service for hotels, travel agencies, companies to carry out airport transfers or international trips. Between Budapest Airport and Siófok, the price can be more reasonable than travelling by train or bus. 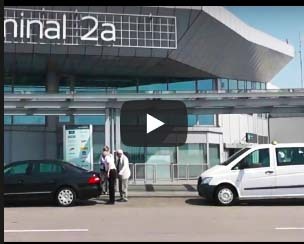 Book a taxi transfer from / to Budapest Airport, Vienna Airport from / to Zamárdi online!